One of the first things I ever bought from Lush was a shower jelly and I loved it. This one smells of apples and is covered in glitter, as well as being shaped like Santa’s belly with his belt buckle. It’s so adorable and I love how Christmassy it is. I had to pick up at least one thing from the Halloween range and when I smelt this, it had to be this. I picked this up for my Mom, I can’t use it as it has cinnamon in, but that is why it smells so good. It’s scent is vanilla and cinnamon, it smells so festive and whilst it was sat in the bag made my room smell amazing! 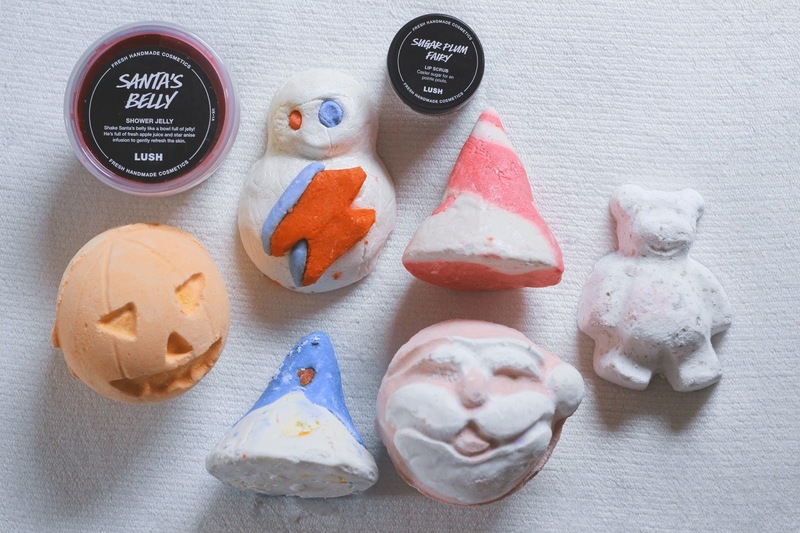 This bubble bar is a tribute to David Bowie and I absolutely adore it. I bought it for my Mom mainly because the scent is grapefruit, and also David Bowie has been her favourite musician since she was a teenager, so I thought she’d love it too. Blackcurrant is one of my favourite scents and I adore Lush lip scrubs, especially before putting on matte lipsticks. This smells amazing and it’s definitely my favourite scent of lip scrub I’ve ever bought from Lush. Penguins are my absolute favourite animal so I couldn’t leave this little guy behind! 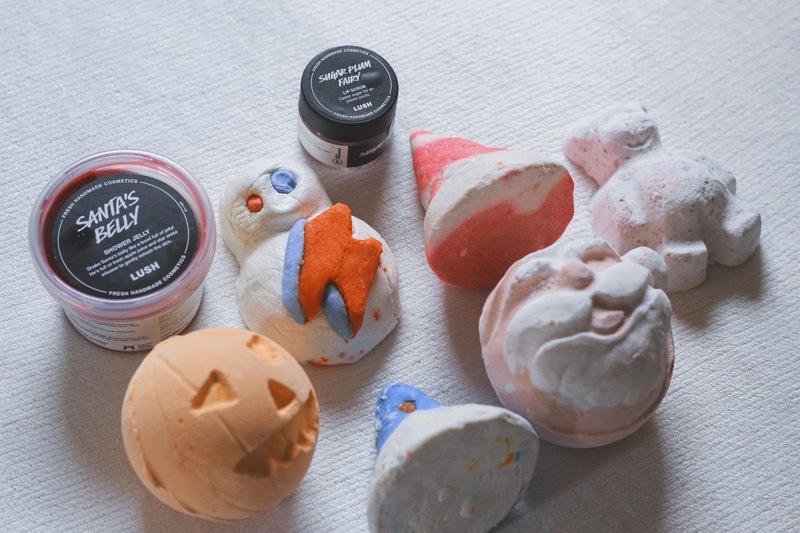 I can’t wait to use it, it’s the cutest bubble bar I’ve ever seen. This is actually a Christmas present for someone, I picked it up for them because it’s the same scent as Snow Fairy and most people love a bit of Snow Fairy! It’s also a great first Lush product in my opinion. How could I not pick up Father Christmas?! The most jolly bath bomb of them all and it smells sweet, almost like candyfloss, another one of my favourite scents! This is a classic Christmas bath bomb, I loved this last year because it made my skin SO soft in those cold months. It’s also a nice affordable bath bomb filled with cocoa butter. 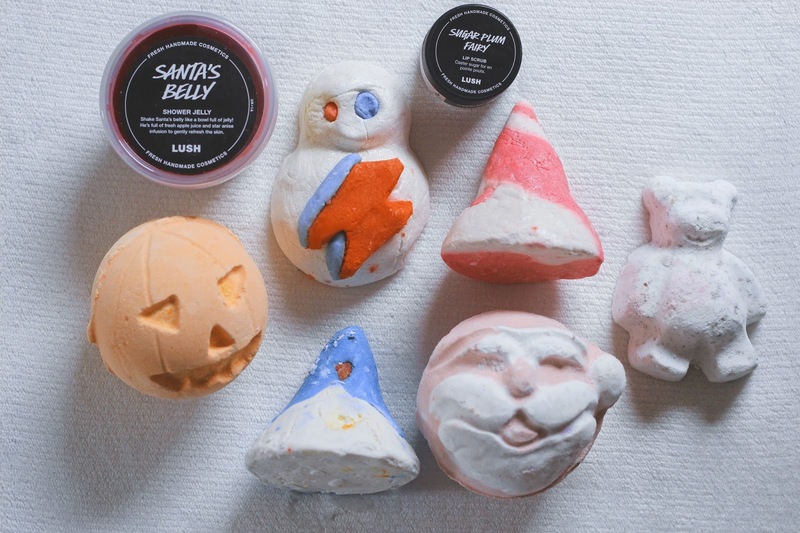 What’s on your Lush Halloween/Christmas wishlist?